Flight tracking systems are being used mainly by airports, manufacturers and carriers to predict delays, handle irregular operations, and analyse the best flight path. As a matter of fact, a real-time flight tracking system is now being used by the aviation industry. It works by transmitting an aircraft’s position, altitude and speed via automatic dependent surveillance-broadcast (ADS-B) in actual time. However, this type of system also requires a reliable computer technology that has the capability to withstand 24/7 usage without worrying about hardware malfunction. One of the ideal computing technology that has this capability is an industrial computer. So, what makes an industrial-grade panel PC compatible with real-time flight tracking system? Read on to find out why this device is an ideal computing solution for any aviation operation. Flight delays and absence of timely updates about new flight schedule is truly an inconvenience for passengers. This is where real-time data is needed so air traffic controllers can provide timely updates. Data of an aeroplane’s status flows in real time so computing technologies are perpetually operated. However, the aviation industry has potential risks such as extreme vibrations/shock which can cause a hardware to malfunction. For this reason, ruggedised panel computers are preferred since they can survive extreme conditions at optimum performance. The aviation industry operates 24/7 which can be overbearing for a commercial-grade computer. Thus, an industrial grade technology is the standard for this industry. Now, industrial panel-type computers are being preferred because of its compact nature and flexible mounting options. This saves workspace which allows installation of other devices needed for the real-time flight tracking system. Here are the features of industrial PCs which makes them ideal for real-time flight tracking systems. These rugged computing devices are enclosed in a strong chassis/housing with a high IP rating. A high-grade sealing protects the device from shock damage and other physical threats that can cause damages to hardware. Industrial grade panel computers have built-in cooling systems which prevent the device from overheating. This feature is necessary since the real-time flight tracking system operates 24/7. A high-quality display is a definitely an important factor in ensuring that the information is presented clearly. Industrial panel devices are built to have a clear display so that the exact location and data from an aircraft is easily viewable. In addition, these devices also have touchscreen options which allow ease of access and navigation for operators. Flight tracking systems do not involve only one task, rather, it is an assortment of complex processes. These processes help in providing a clear picture of an aircraft’s status in real time. The updates let the control tower monitor the events that are taking place and if a problem should arise, it can be resolved immediately. Computing technologies involved the real-time flight tracking system should be able to withstand extreme usage. 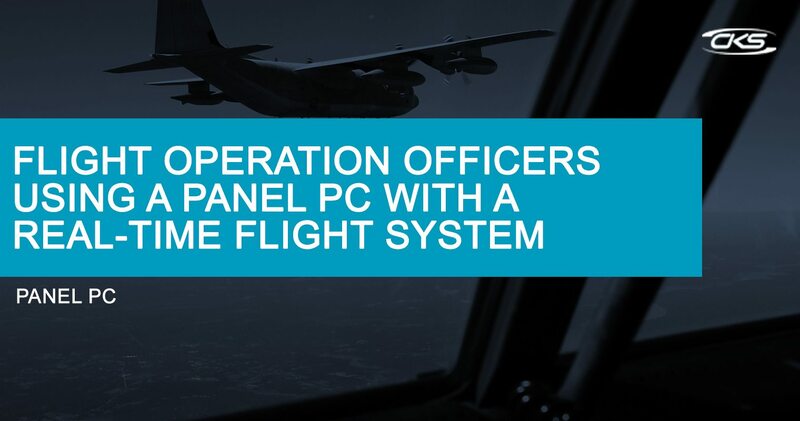 The sturdiness, reliability and flexible mounting options of a rugged panel computer is an ideal and convenient tool for streamlining operations and tasks in real-time flight tracking.